Eyecare Anywhere | Follow up eye care for corporate clients after onsite sight tests. We will arrange to come to your business site, carry out an eye examination and order the spectacles afterwards if required on the day. Eyecare Anywhere has a range of frames with us so any spectacle dispensing can be carried out straight after the sight test. We will order spectacles and arrange to deliver and fit them to the member of staff. Eyecare Anywhere has accounts with two leading Prescription Safety Spectacle manufacturers, so we have plenty of options. 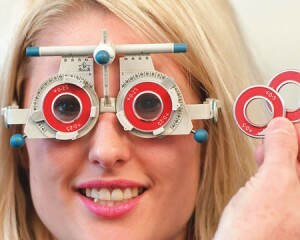 Then had to back to the Optician again when they were ready to collect. This maybe as long as eight weeks later. We will be willing to undergo any health and safety training necessary to enter your premises, discuss all issues with health and safety staff and if necessary look at work environments to give advice about improving eye health and comfort.